Wow! 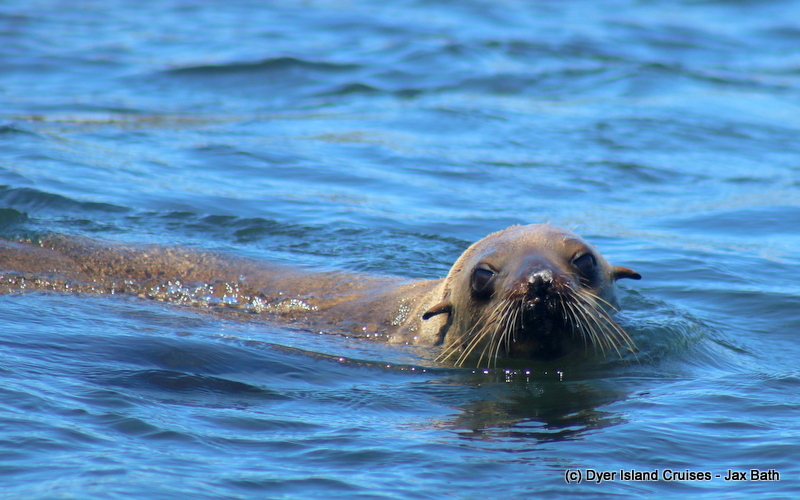 We were really treated to an awesome eco tour today, with all of our favourite species coming out to play. With the current load shedding happening in town, we decided that we’d get out of the darkness and into the sunlight as quickly as we could today, setting out just before 10 for our tour after watching our briefing with the help of a trusty generator, we got our gear and made our way down to Whale Whisperer. 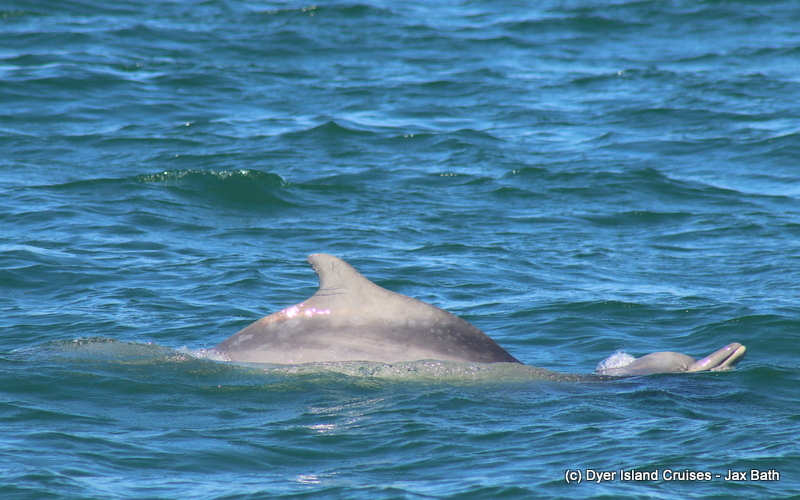 On the way down to the Uilenkraalsmond, we spotted two Indian Ocean Humpback Dolphins. Number 25 and a slightly less identifiable individual were doing some fishing in front of the estuary, so we decided to kick back and watch these dolphins find themselves a meal. When they fish, it can be hard to keep up with them, so we waited in anticipation for every eruption from the sea, hoping to catch a glimpse as they surfaced. After a while, we moved onwards towards the shark cage diving boats, nearly reaching them before catching up with yet another group of Humpback Dolphins. 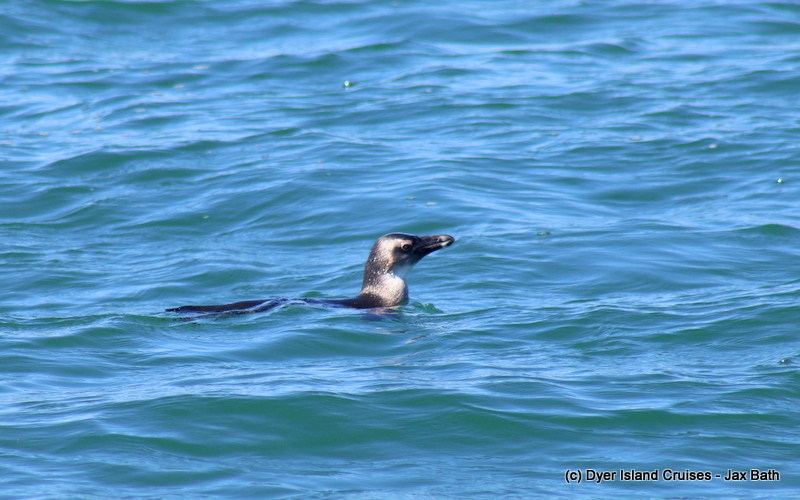 This time, we found Summer, Claw and calf as well as Number 12. We had so much fun moving along with this bunch, but eventually we decided to carry on. Our next stop was at Slashfin, were we got a brief look at a Copper Shark lurking in the murky water. 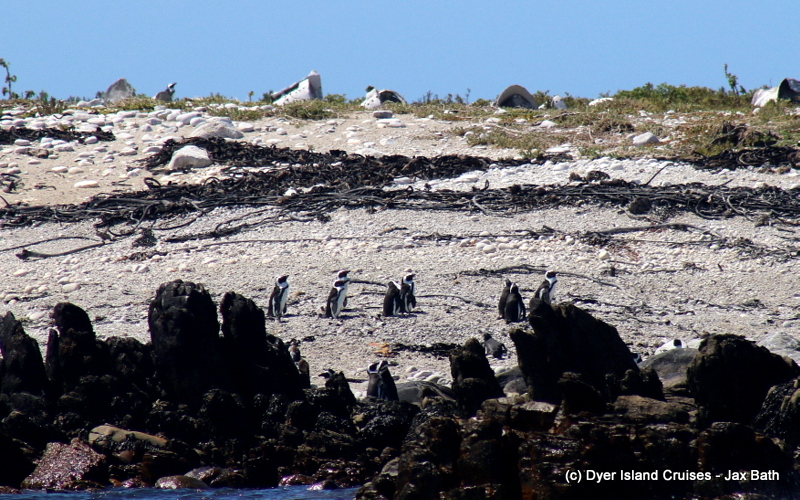 Our next port of call was our reef systems, which we cruised along, finding an African Penguin who looked like he was looking for a meal. 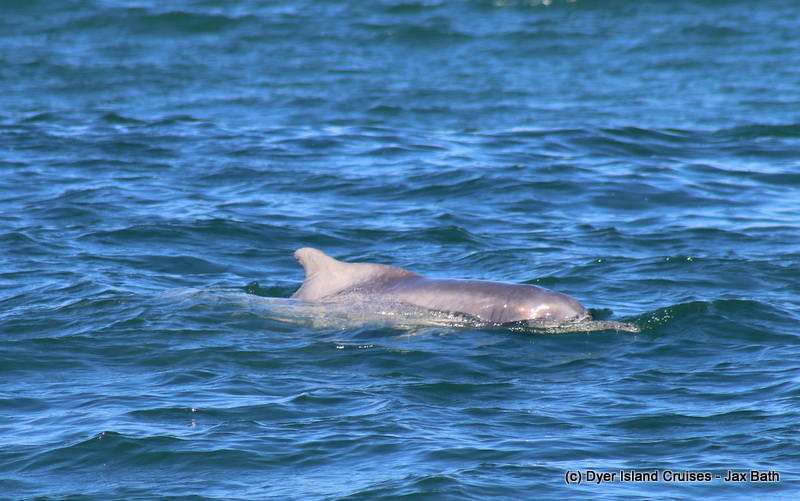 This was a baby blue, and a super relaxed one, so we got some great photographic opportunities as he sat at the surface. 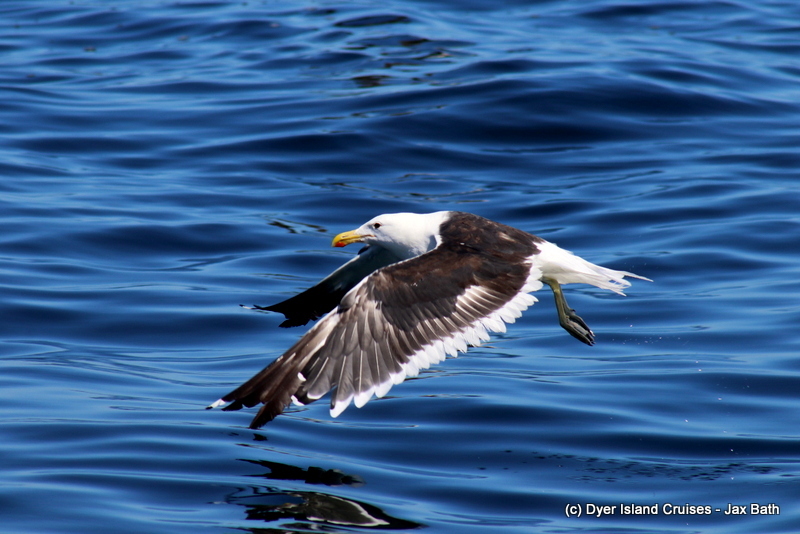 A stop at his home was next, and we spent the next 10 minutes over at Dyer Island, taking in the sights, smells and sounds of this bird haven, which boasts over 20 species of seabird. 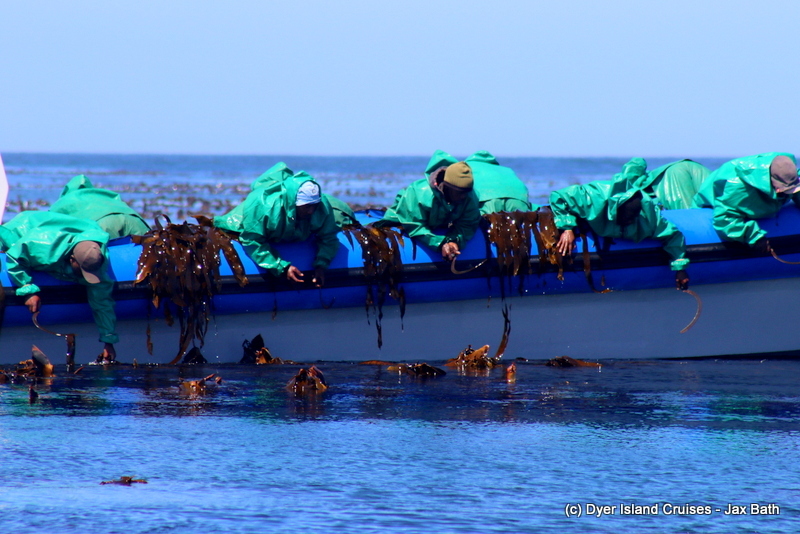 Whilst at the island, we took a stop at one of the kelp boats and on arrival, got a super surprise when we were alerted to a blow a little further out to sea. 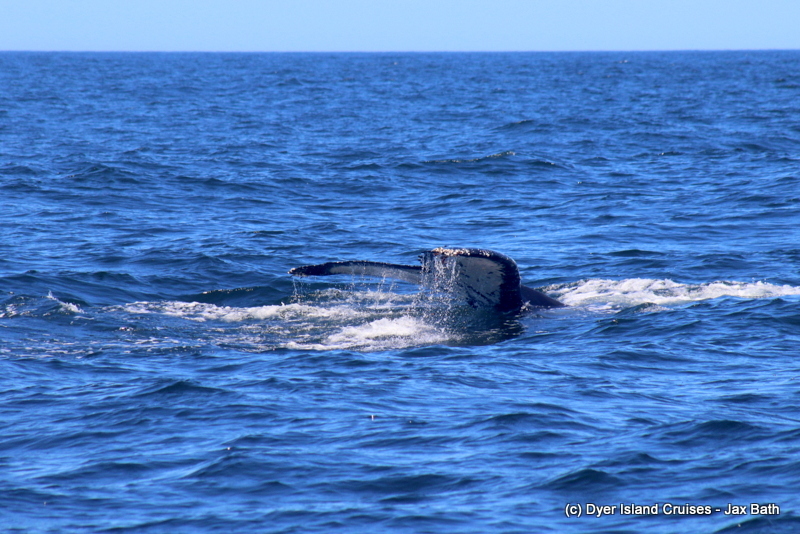 we decided to follow this lead and were slo glad we did when, after some waiting, a gorgeous Humpback Whale emerged from the blue water. We spent the next 20 minutes waiting in anticipation for this beauty to come up, and we were lucky to get some nice views of the tail of the whale! 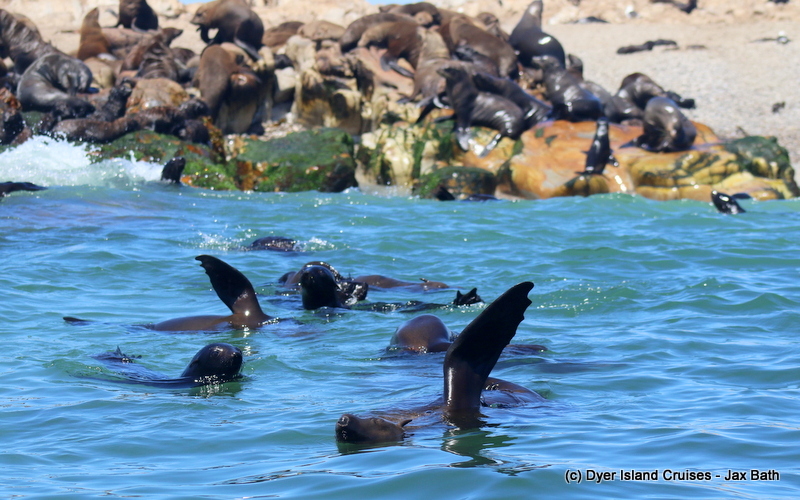 We finished off our tour visiting our Cape Fur Seal pups over at Geyser Rock. A cutie learning to swim. 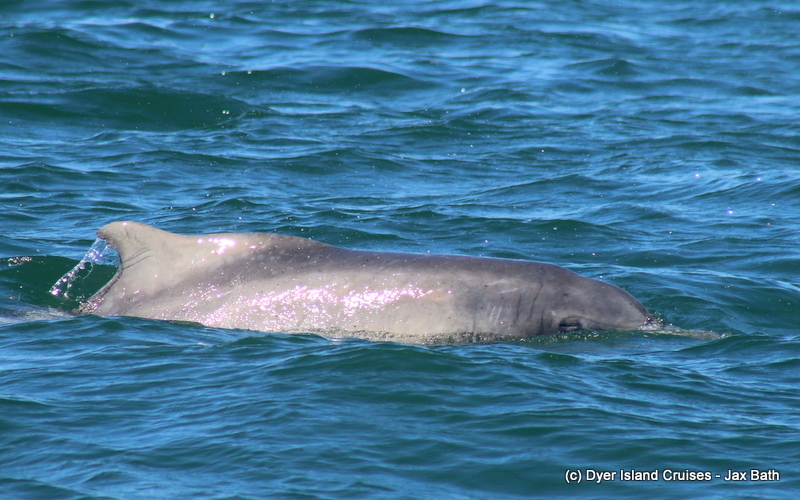 Dolphin number 25 in our catalogue. 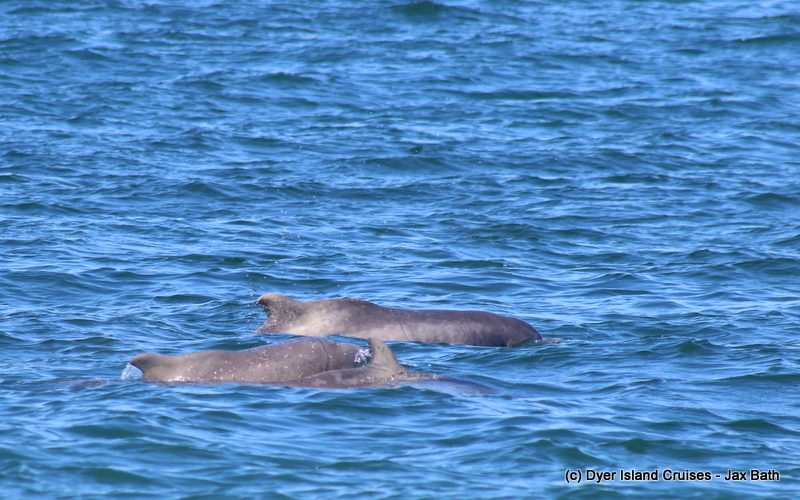 Claw, her calf and number 12 (from back to front) travelling about with Summer, our most iconic Humpback Dolphin lagging behind. 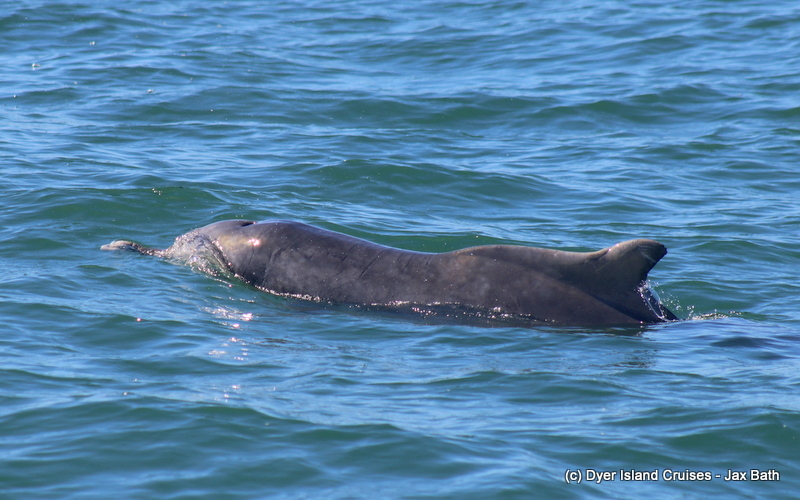 We got to spend some amazing quality time with our Humpback Dolphins today. Number 12, can you see the eye? 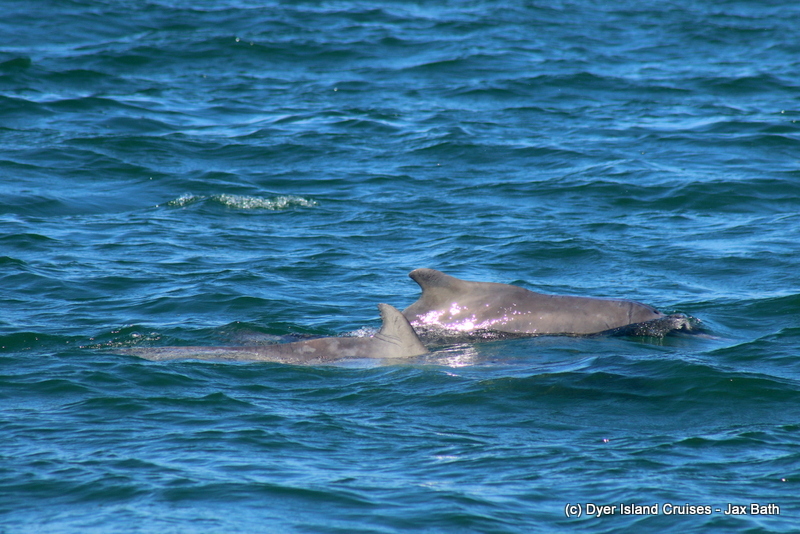 we had 4 dolphins in this group, travelling towards the estuary. Baby travelling with number 12, although Claw is the mother. 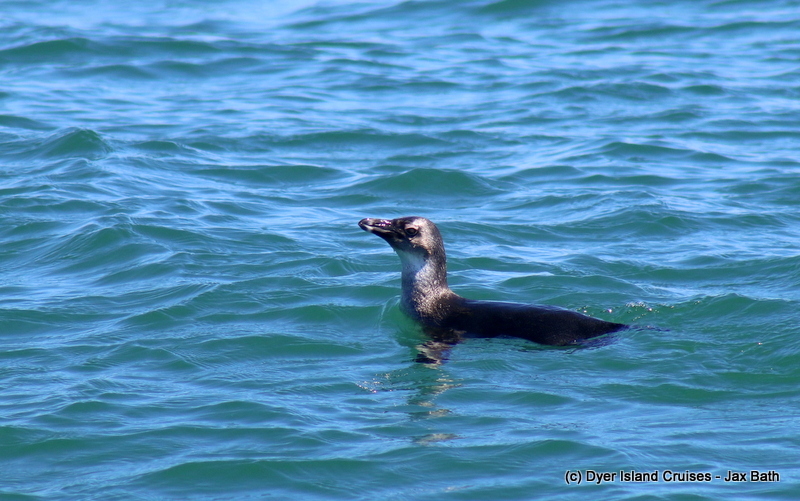 This African Penguin was super relaxed, so we spent some time watching this blue as he bobbed about. Some penguins enjoying a beach day. 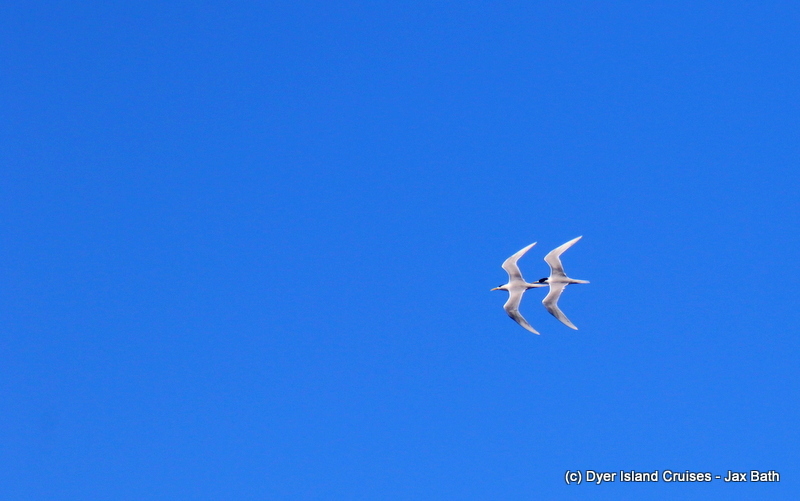 Swift terns in synchronized flight. 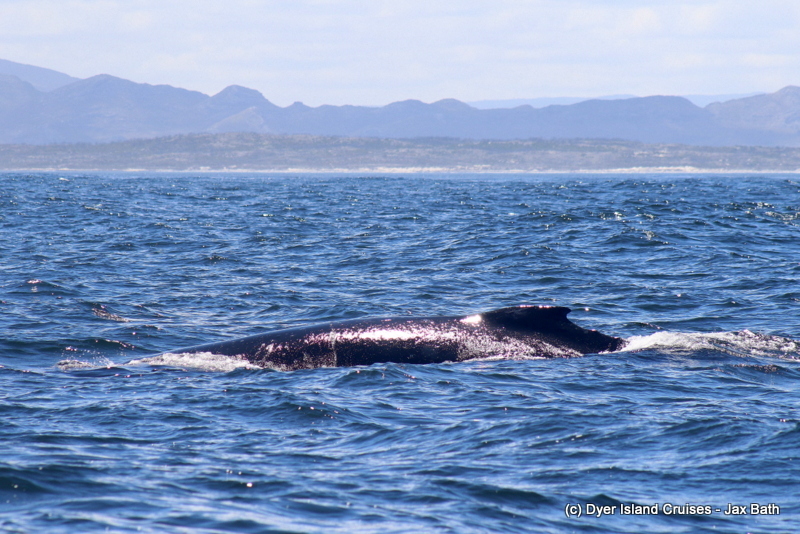 The beautiful Humpback Whale we caught up with on our tour. 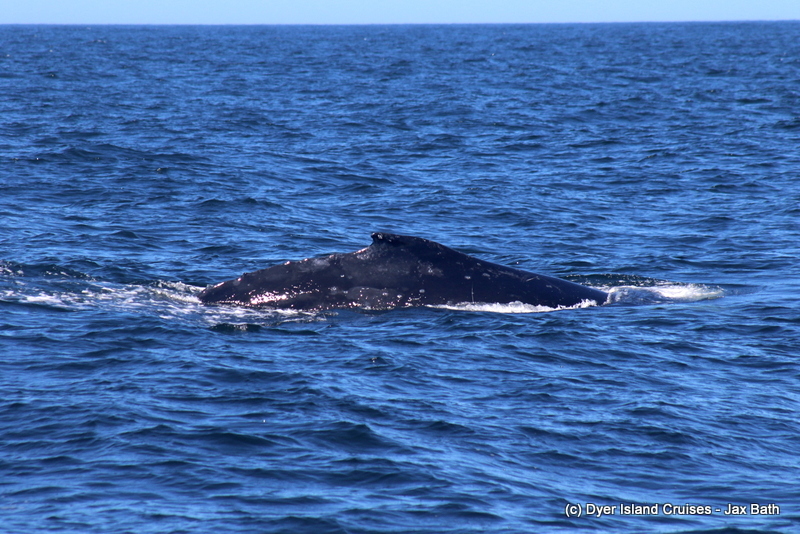 That iconic Humpback tail, which scientists use to identify individuals. 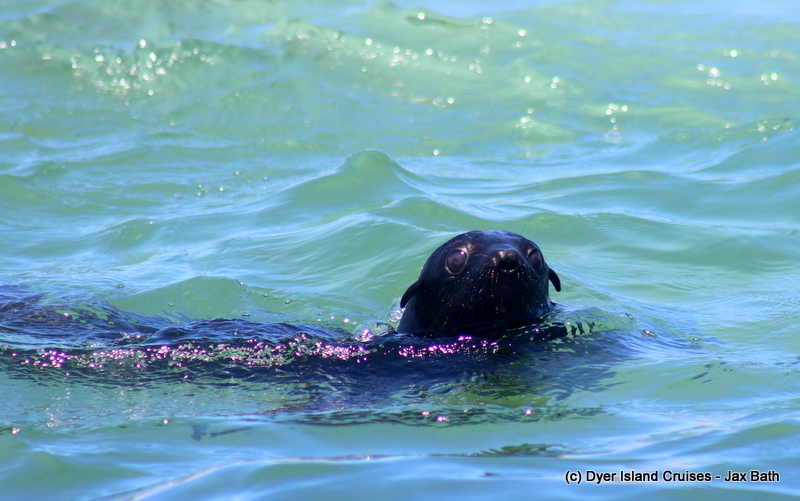 A seal with some impressive whiskers. 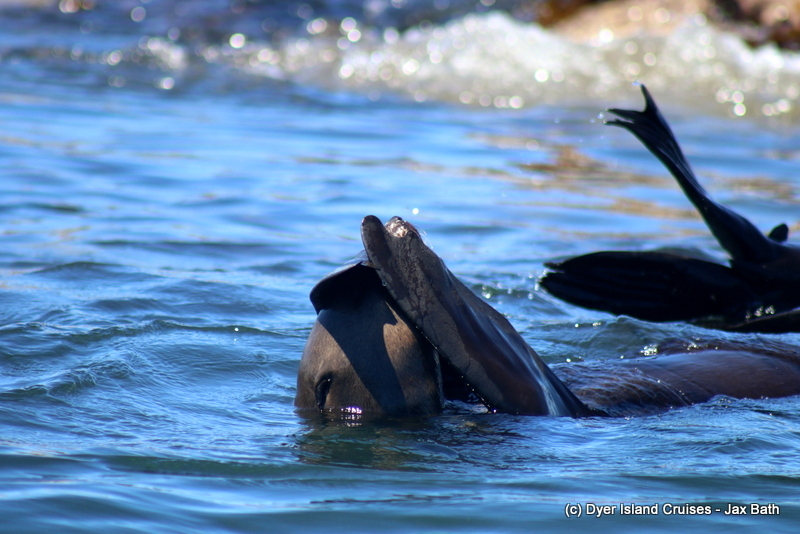 A seal giving himself a scratch. Some thermoregulation happening in the alley.